How Do We Prepare For This? One aspect of parenting I really wasn’t ready for was the number of times in a day that I’m humbled to realize how little control we have over what happens in our children’s lives. Even when I’ve cleared the floor of all obstacles and outfitted his tiny feet with his no-slip socks, our son still manages to take a tumble and bump his head every so often. I won’t be able to shield him when a classmate hurts his feelings for the first time, or when he feels the ache of his first heartbreak, or any of the other inevitable “firsts” that can cause pain or disappointment. I know these are a natural part of life and hopefully, we’ll instill the emotional tools to help him manage the “downs” as well as he celebrates the “ups” as he grows. I feel somewhat confident that his dad and I, along with our amazing network of family and friends, will be able to arm our son with the love, support and guidance he needs to make it in the world. As parents, we do what we can to teach our kids what we know and give them what they need to survive on their own. 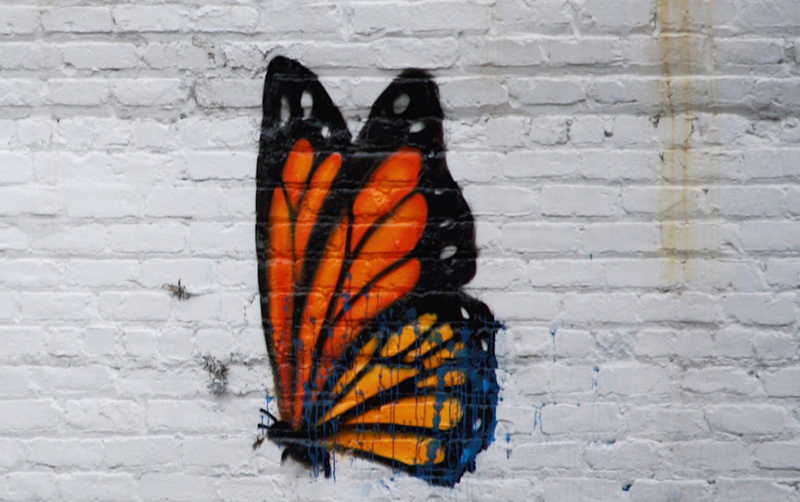 The rest we leave up to hopes, prayers, luck, and—if it fits with your beliefs—divine guidance. There is one thing about which I can’t seem to shake a gnawing sense of guilt, because it’s something that no one can really prepare him for—the imminent and devastating effects of climate change. Am I being too dramatic? I’m not sure. I just know that when my partner and I decided we were ready to have a child, we questioned if bringing another life into this world was even morally and ethically responsible. Adding another human to an already stressed planet, and then leaving that human to contend with challenges none of us have yet had to face seems careless at best. The extreme weather events that we’re seeing now are just the tip of the (melting) iceberg. 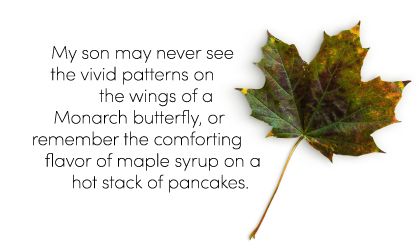 It’s also heartbreaking to know that my son may never see the vivid patterns on the wings of a Monarch butterfly, or remember the comforting flavor of maple syrup on a hot stack of pancakes. In our home, we do what we can to make healthy decisions for our family that also consider the environment. Adopting a mostly plant-based lifestyle (we still eat meat but we’ve cut way back), using homemade and/or non-toxic cleaners, recycling, and minimizing the use of all plastics are just some of the small ways we attempt to do our part. As a working mom, though, convenience still wins sometimes; we use store-bought diapers and wipes. And we’re working towards establishing better systems to help reduce our food waste and the amount of trash we produce. As an aside, this is not meant in any way to judge what other families do. We all make choices and have priorities based on what works for us. That’s perfectly ok.
To be clear, we didn’t find an answer to our question before we started our family. Maybe this rising generation will have the wisdom, innovation, and technology to create compassionate solutions that allow humanity to coexist with a thriving planet.